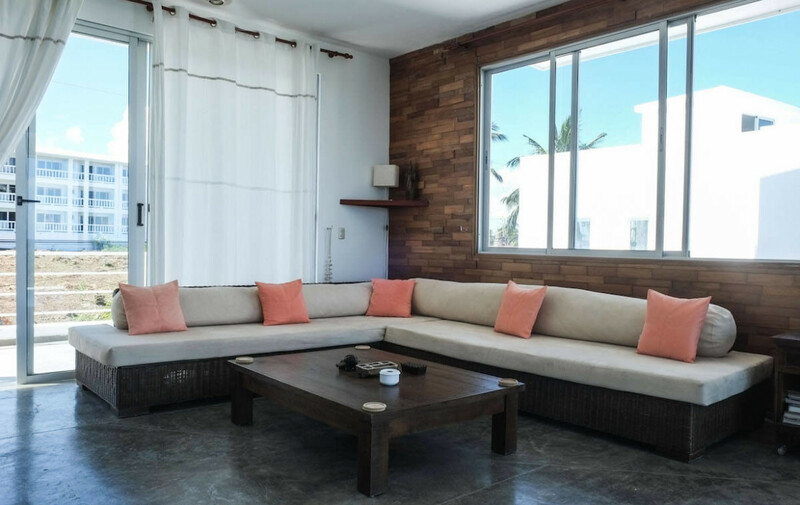 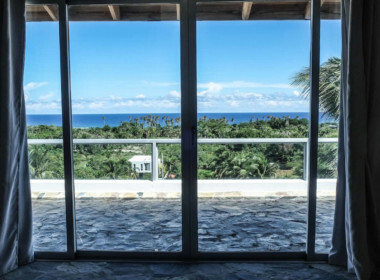 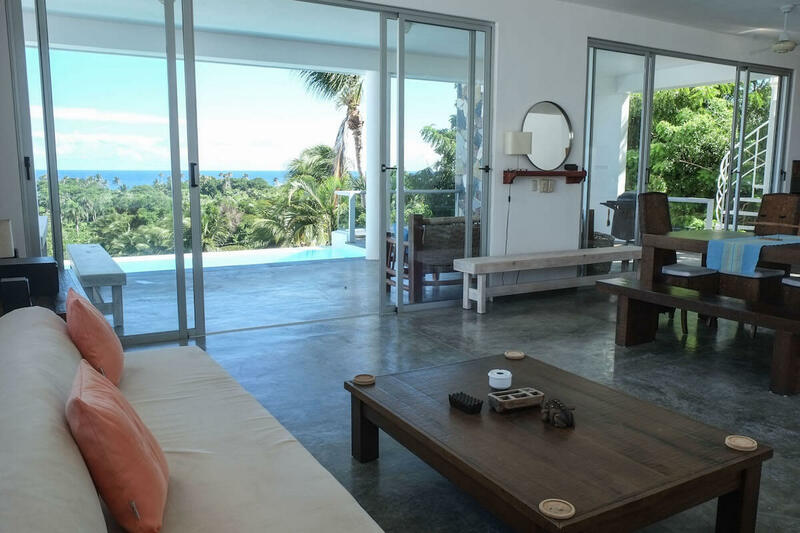 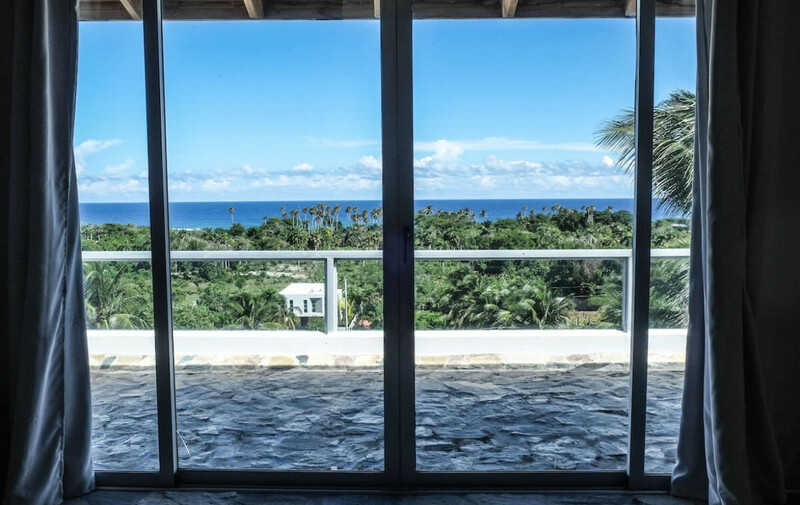 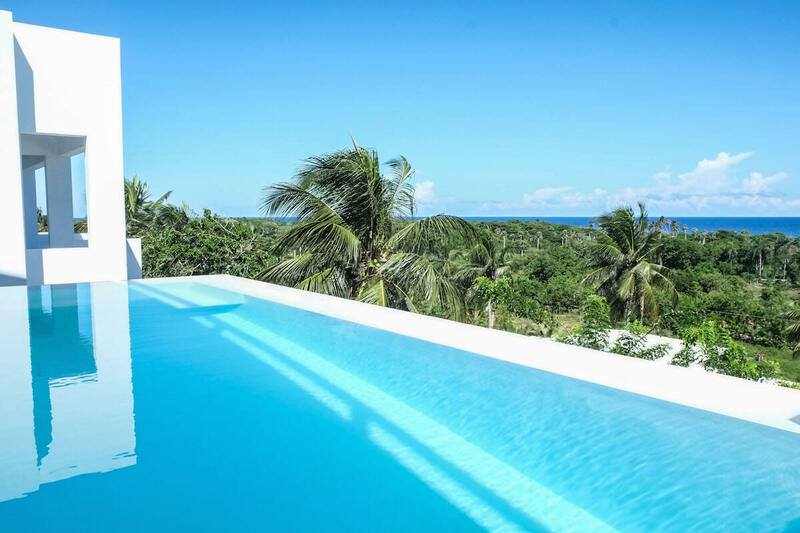 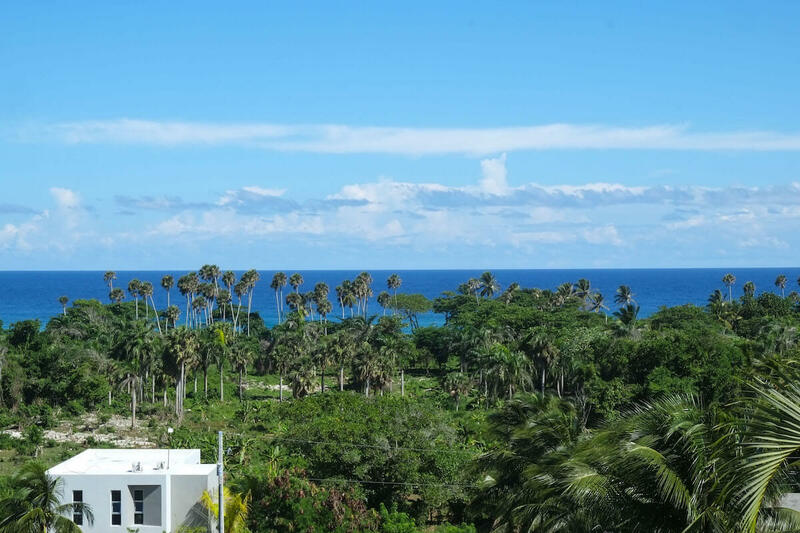 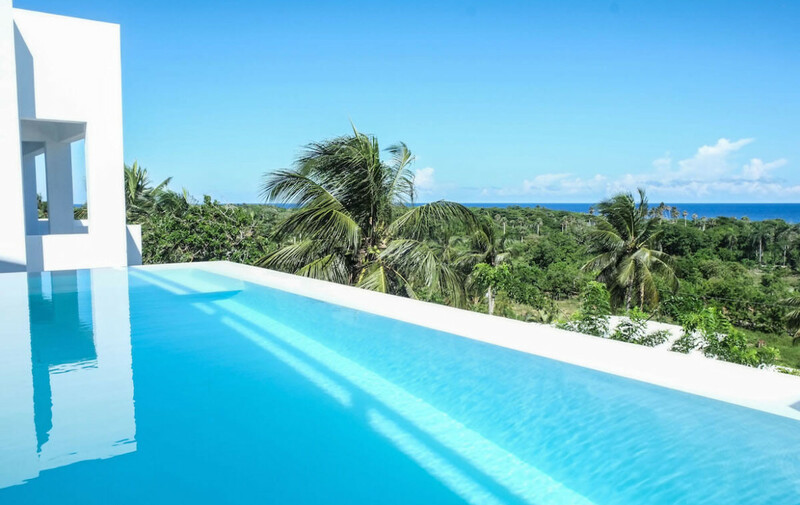 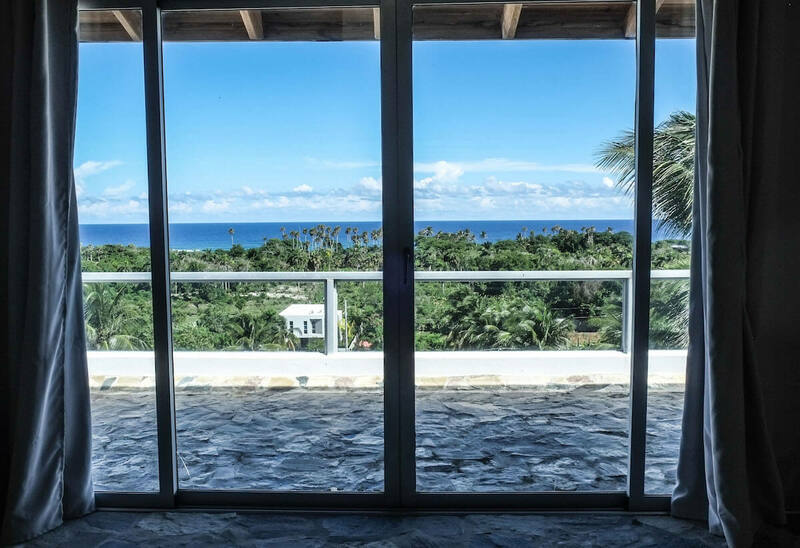 Magnificent house with one of the most spectacular views of Encuentro beach. 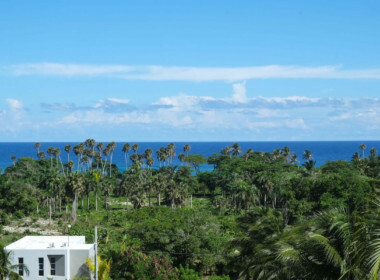 This area is known for being the ideal surf spot. 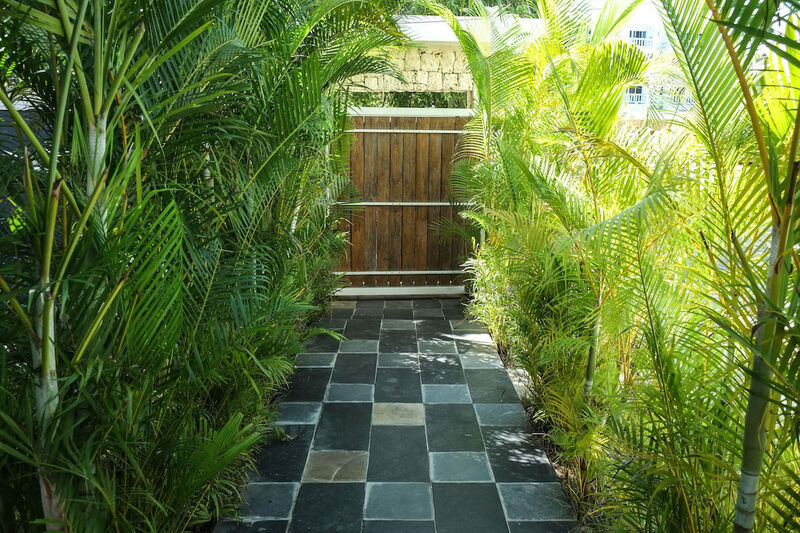 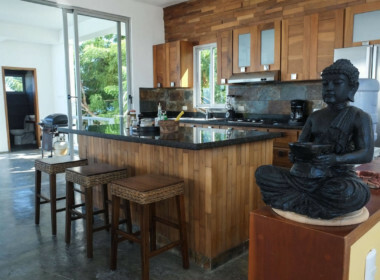 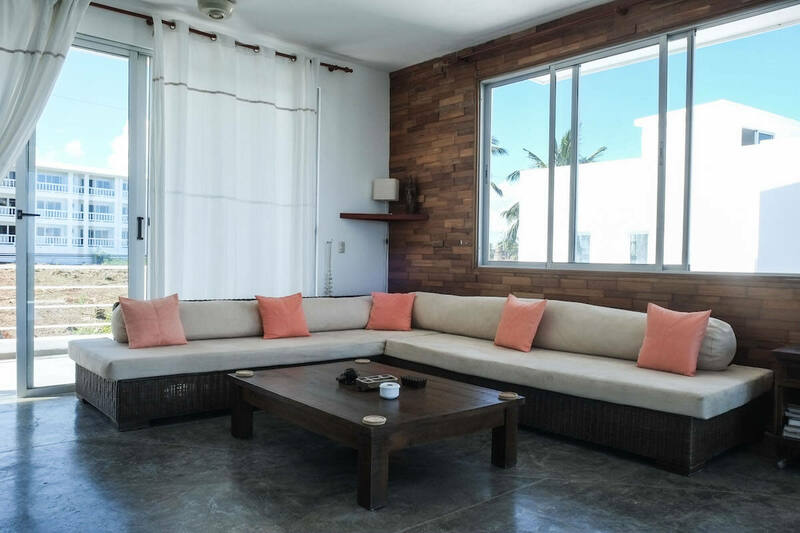 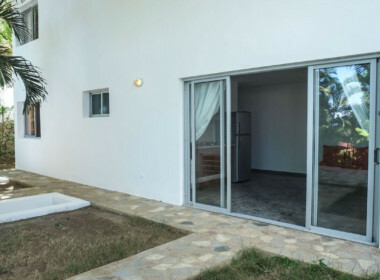 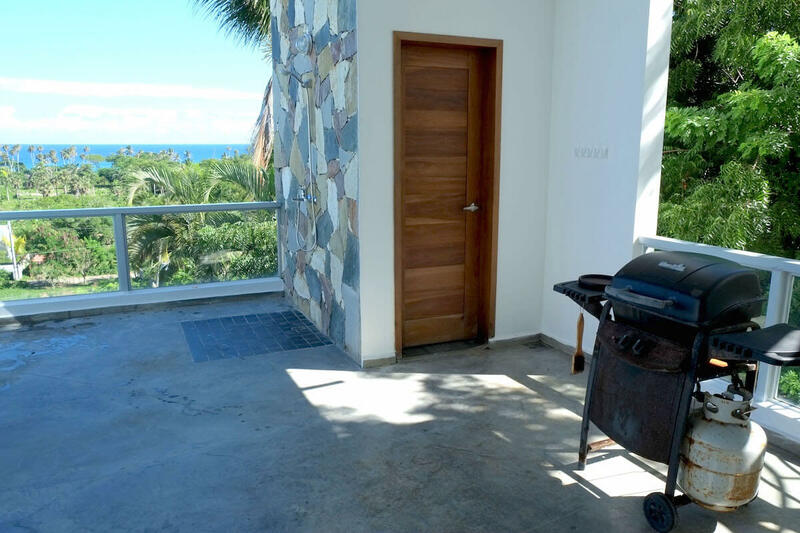 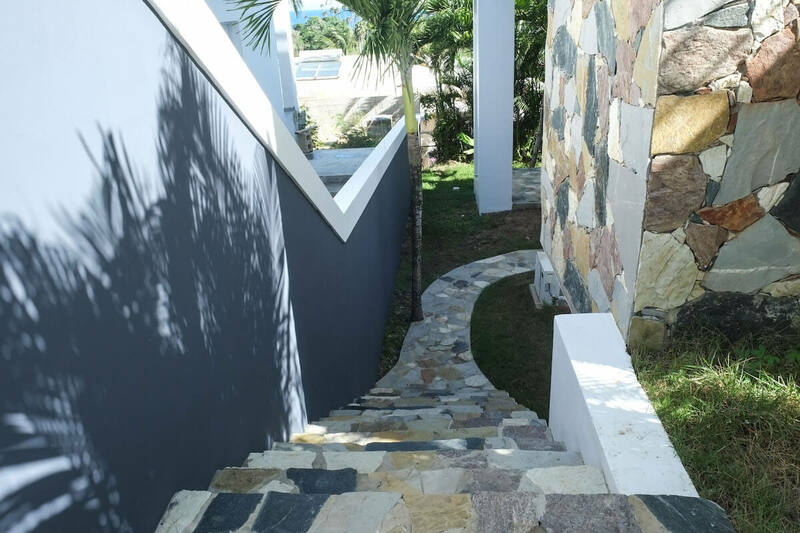 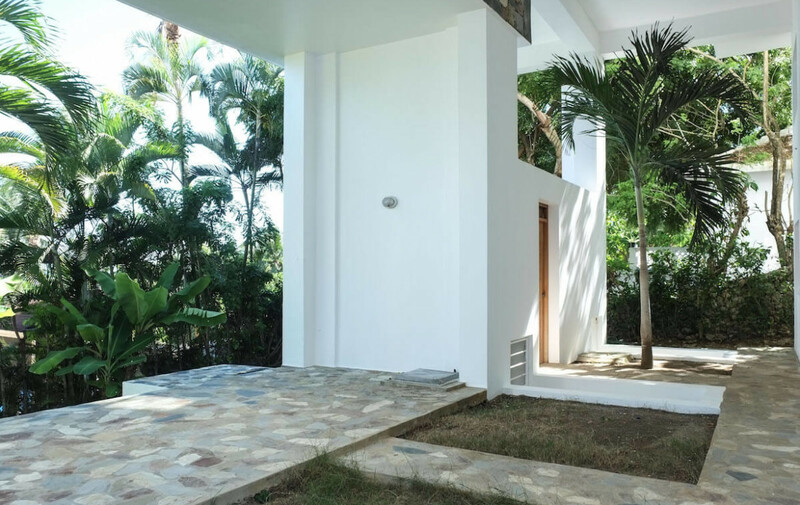 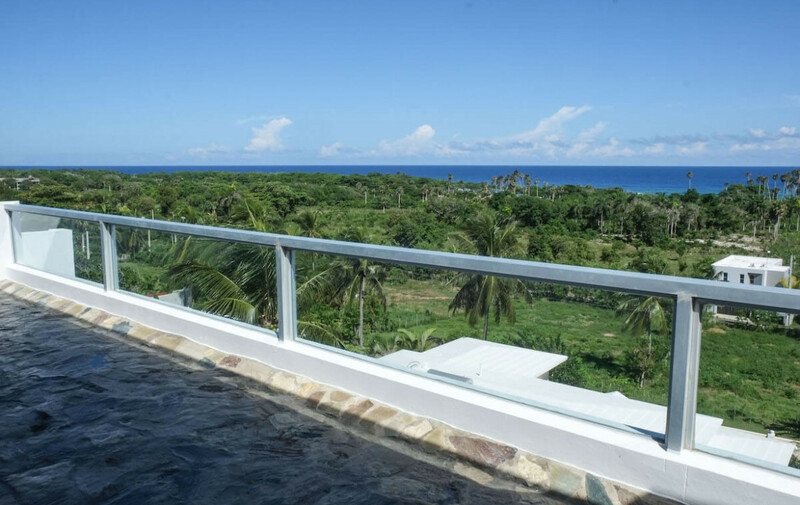 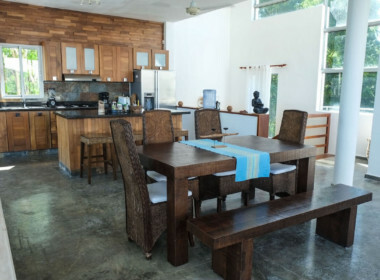 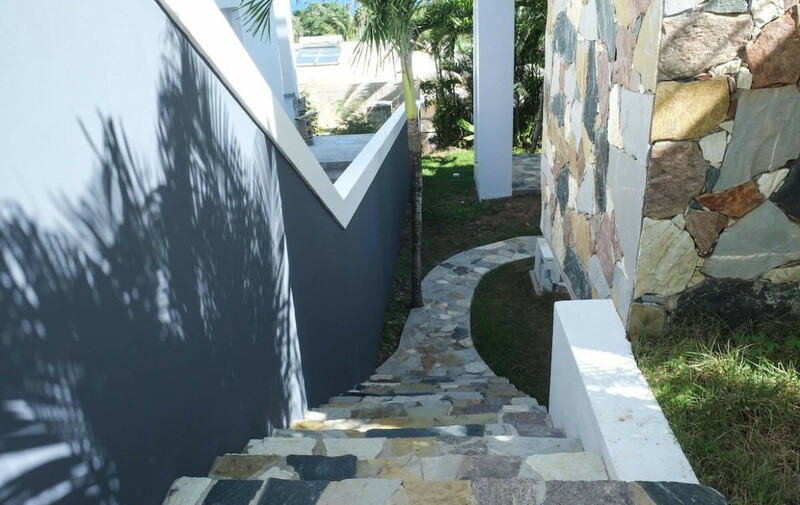 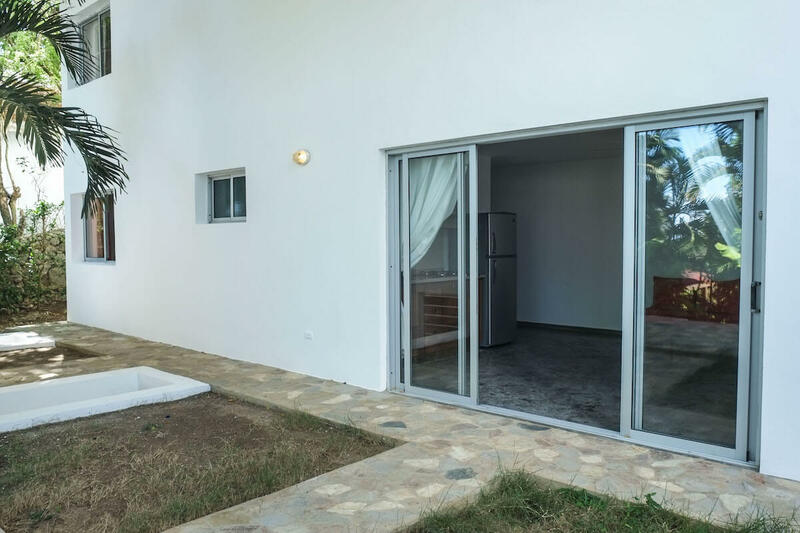 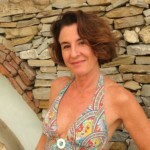 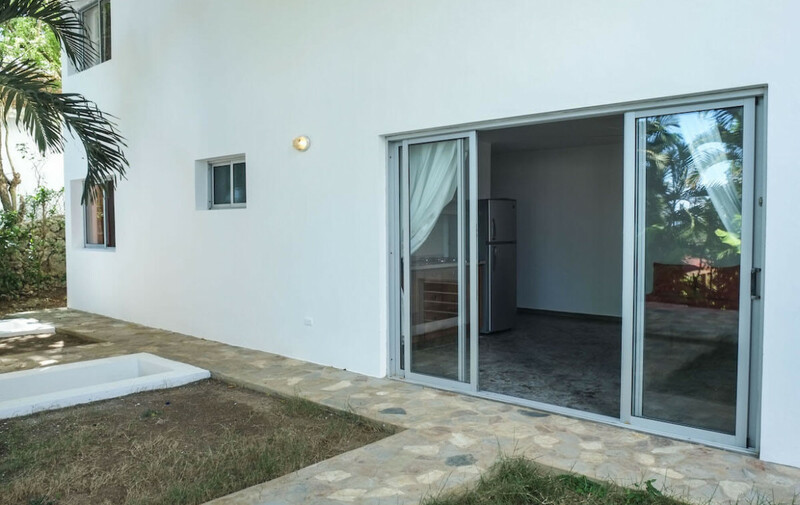 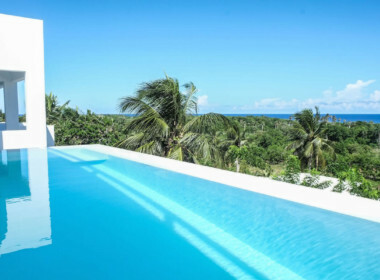 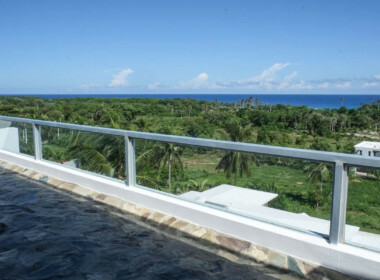 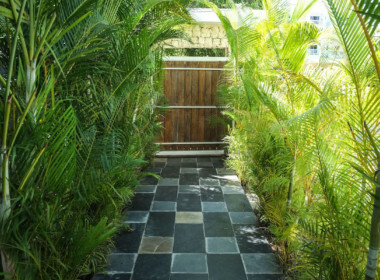 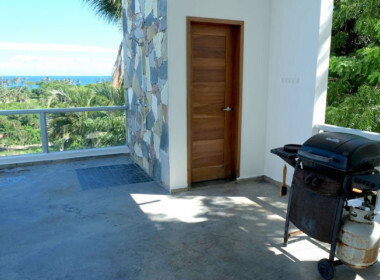 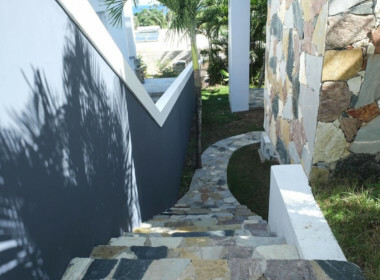 The whole property is surrounded by nature and a relaxed “beach style” ambiance. 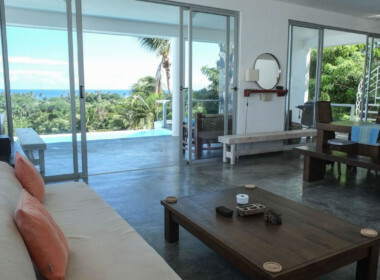 The location is unique for being a mix of wild beaches with a developing neighborhood full of surfers and nature lovers. 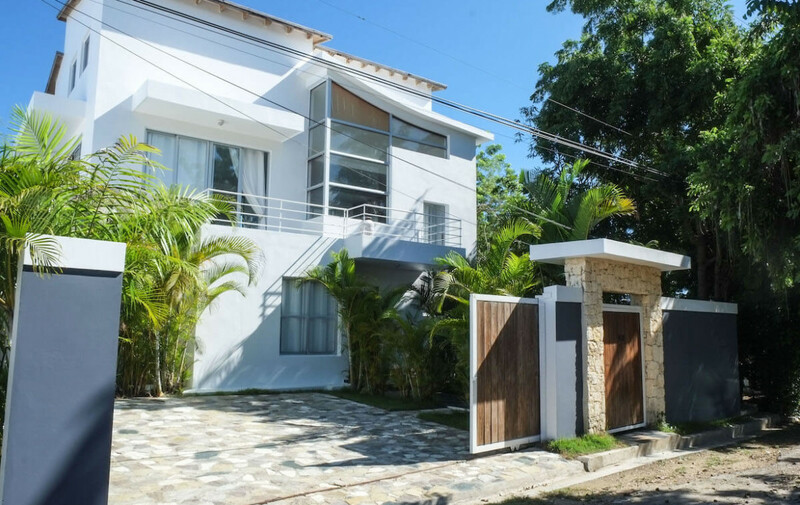 This area is starting to be very popular for planners to build and investors to take interest in. 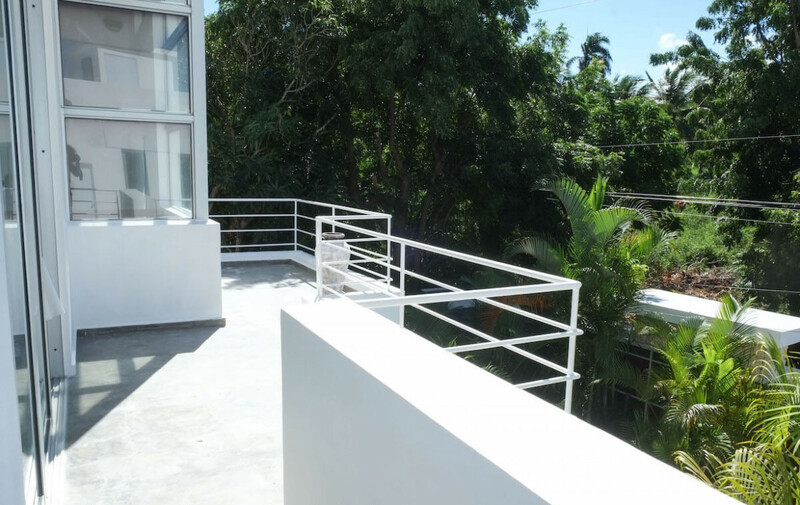 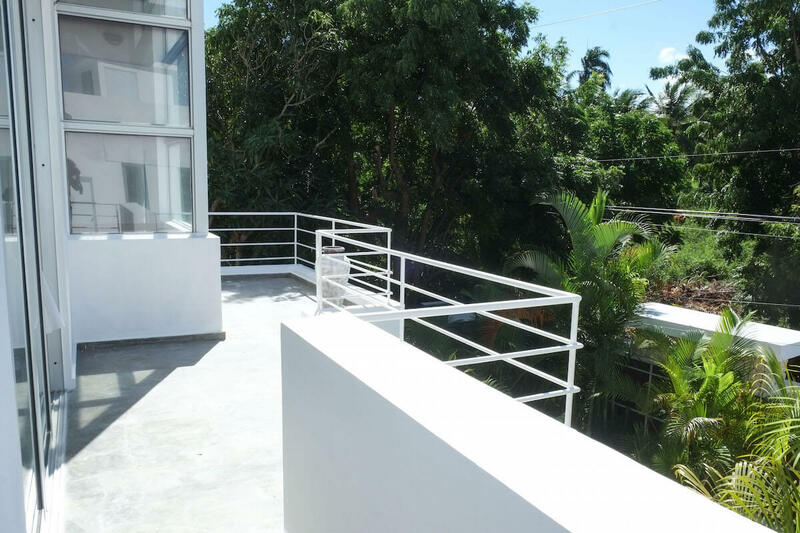 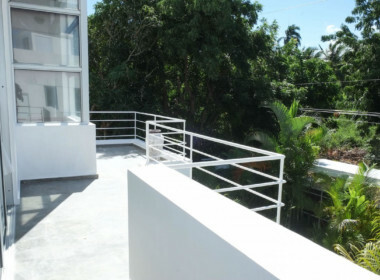 The house has 3 floors and a sub-floor with a separate 1 Bdr apartment, that has an independent entrance. 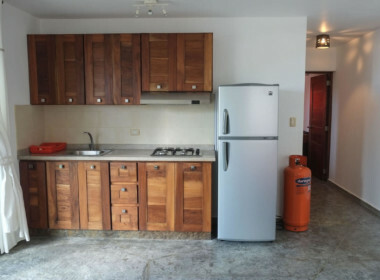 Ideal for renting. 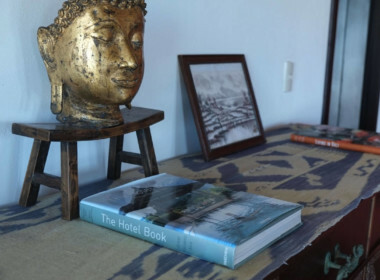 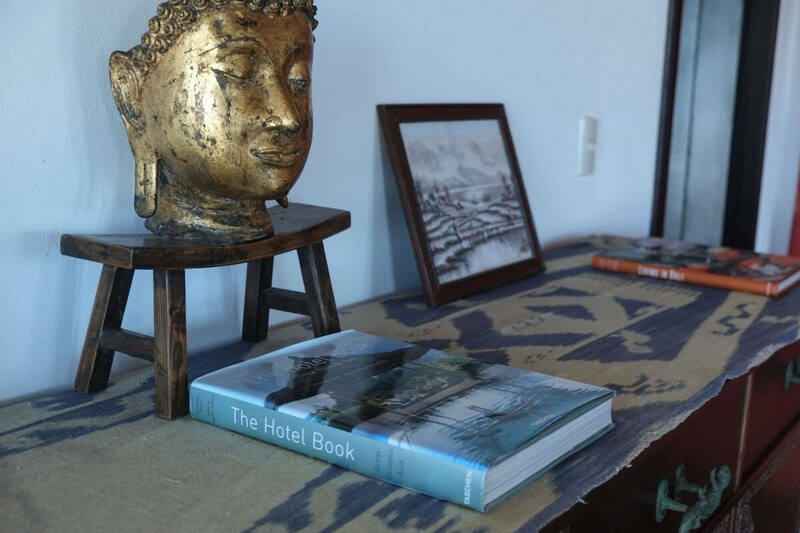 The entire house is beautifully decorated with a zen style and a great, functional distribution of the spaces. 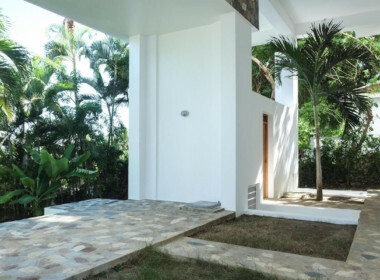 The ground floor features 3 rooms surrounded by the green of the gardens and a warm decoration. 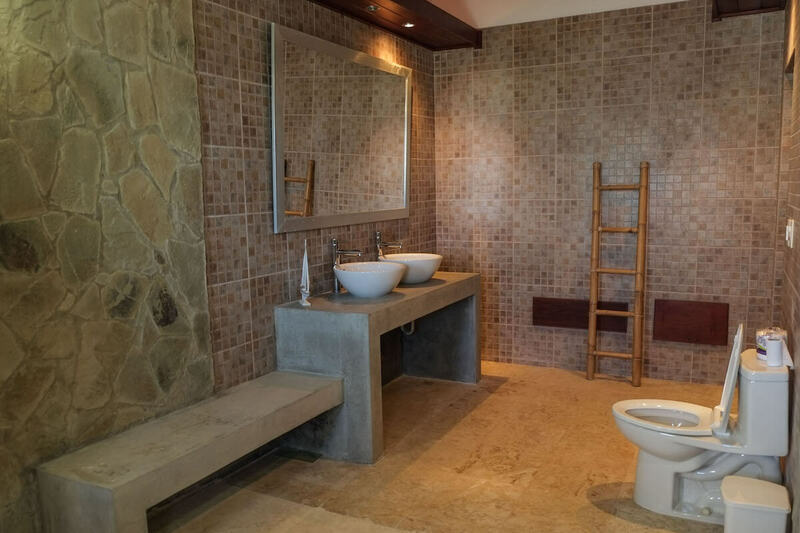 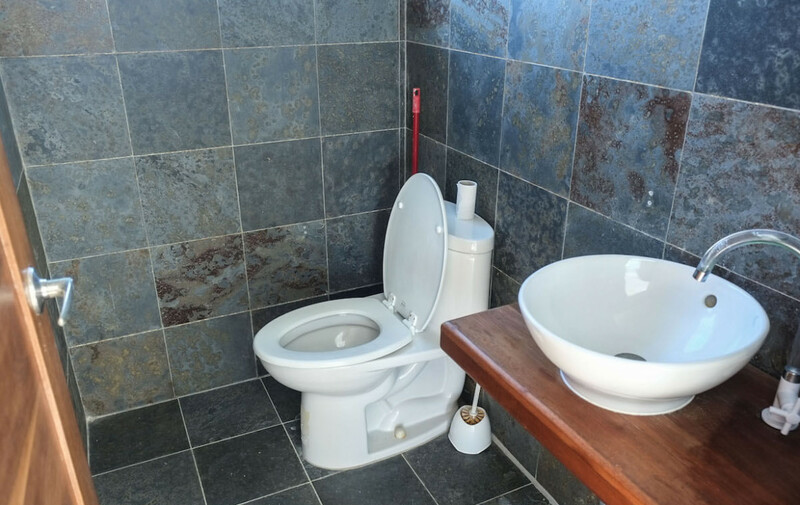 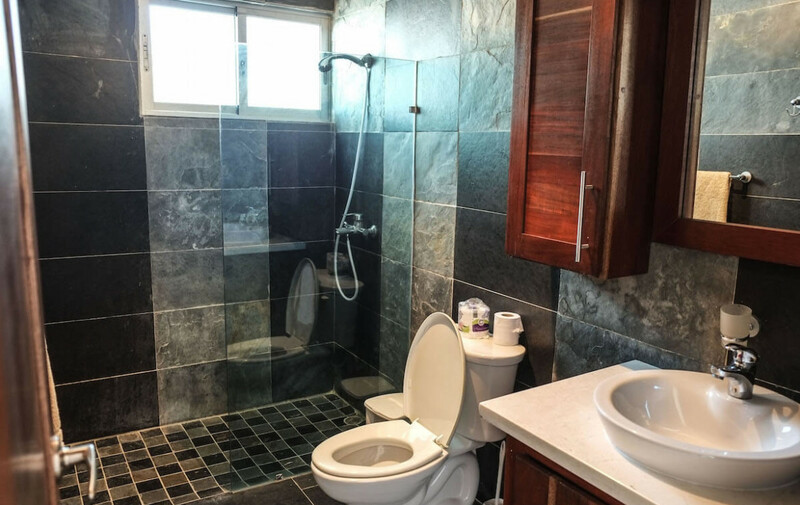 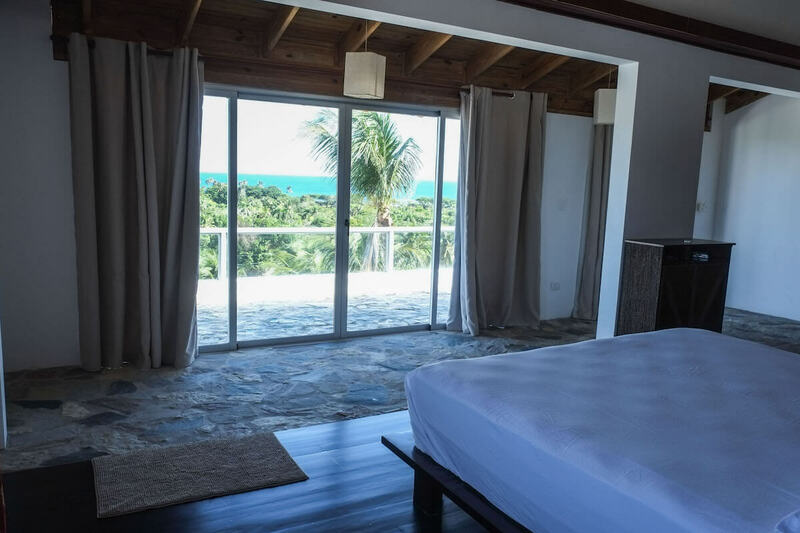 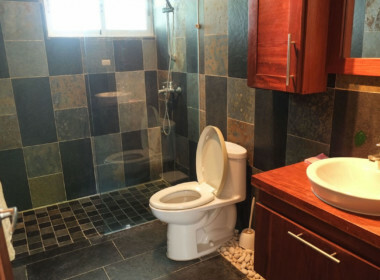 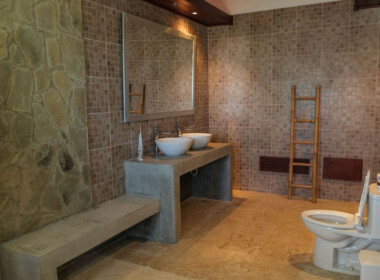 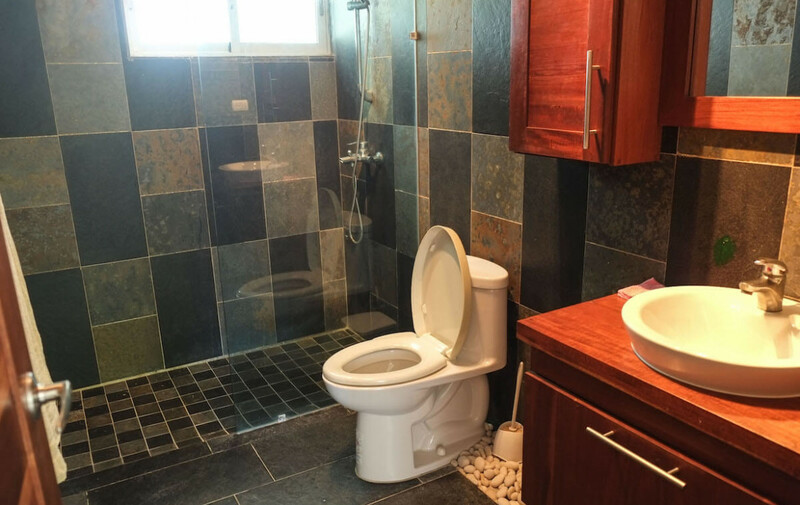 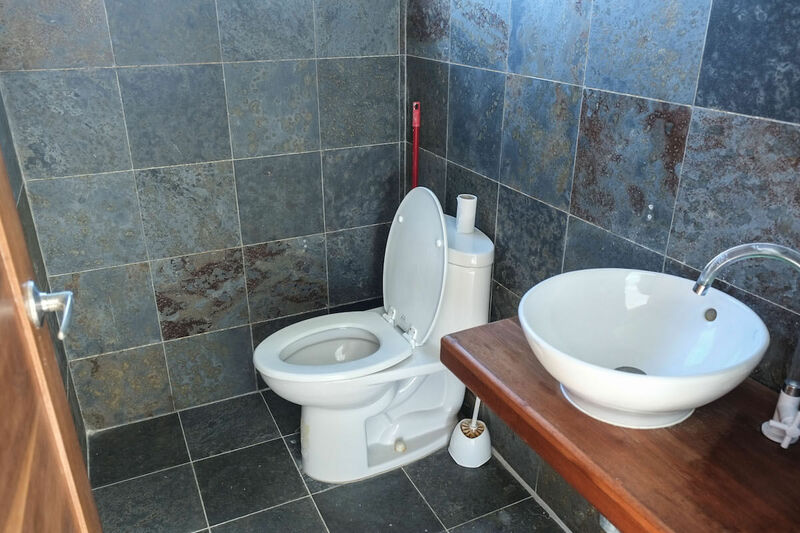 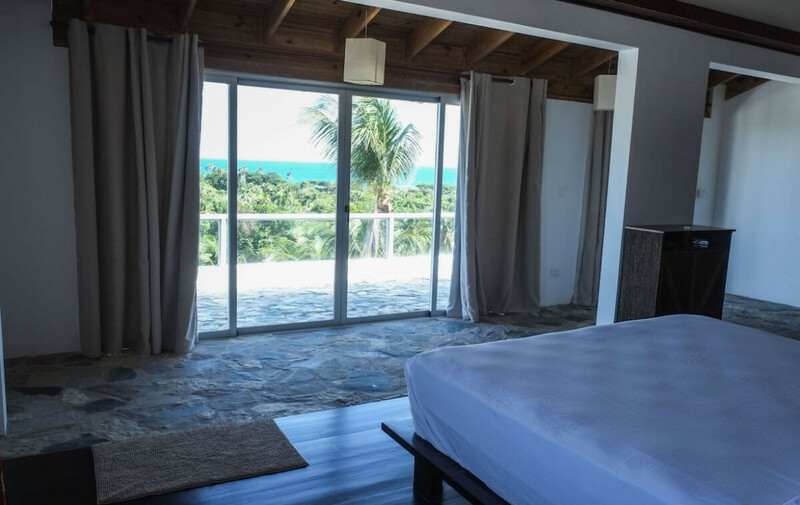 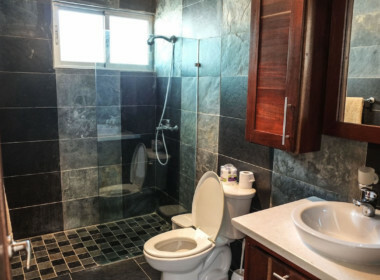 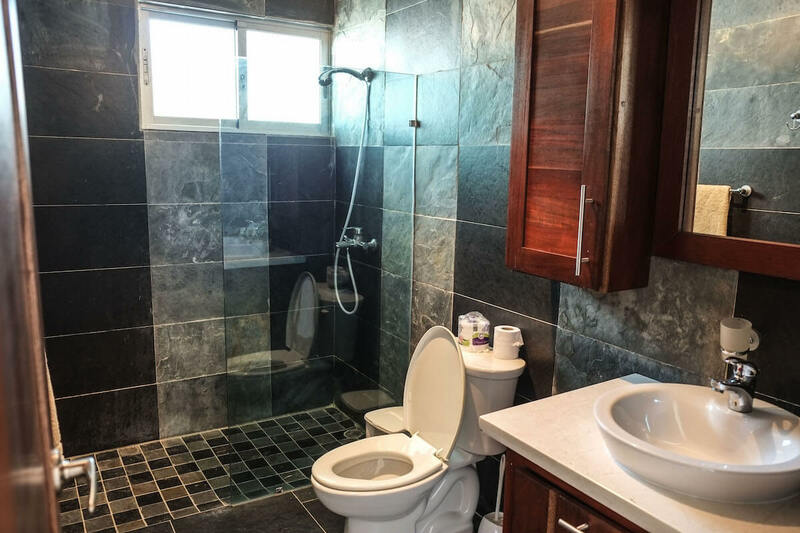 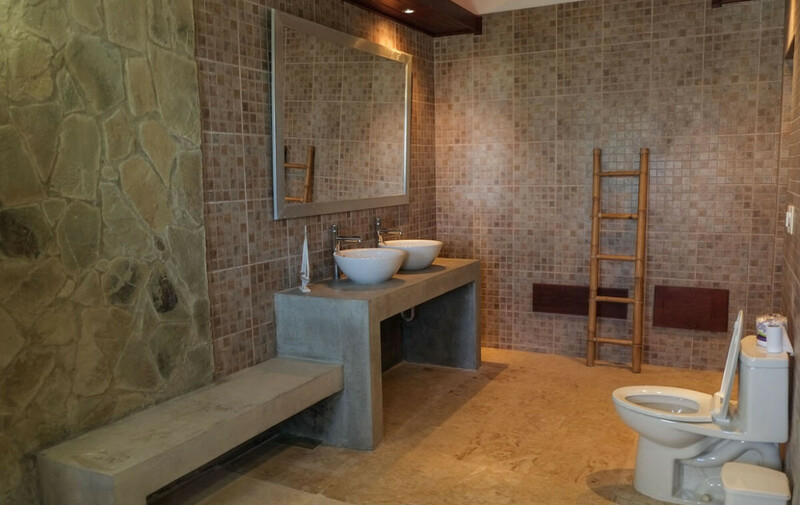 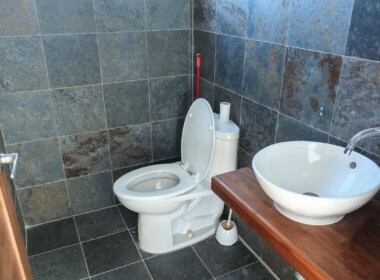 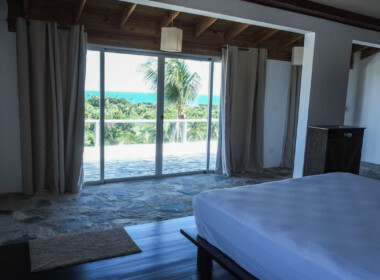 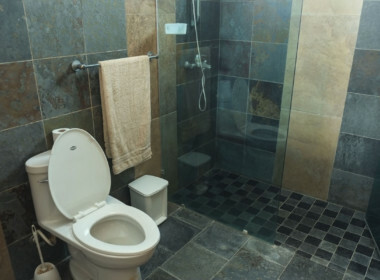 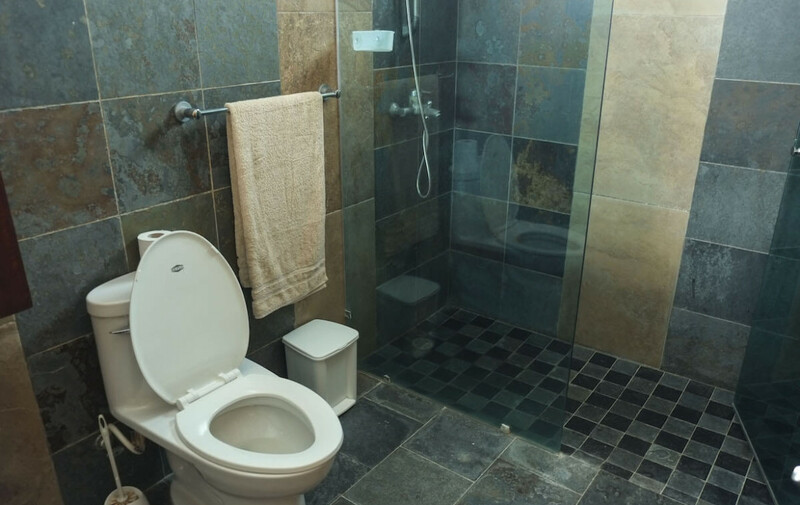 The main room of this floor overviews the ocean and it has its own private bathroom. 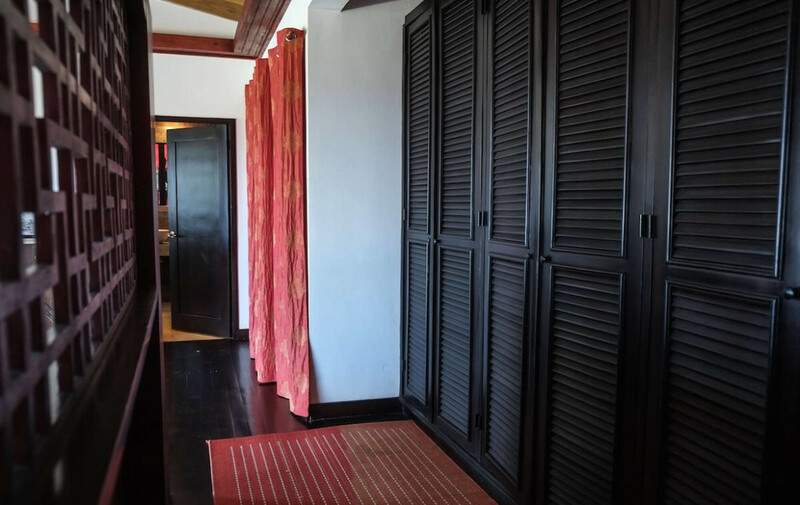 Air conditioner and big closets in all the rooms and lots of freshness coming thru the windows. 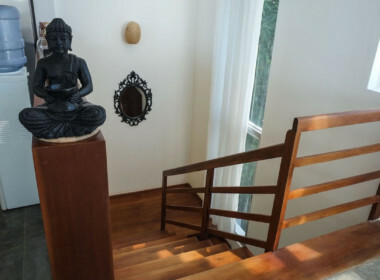 This is the house of tranquility that you were looking for! 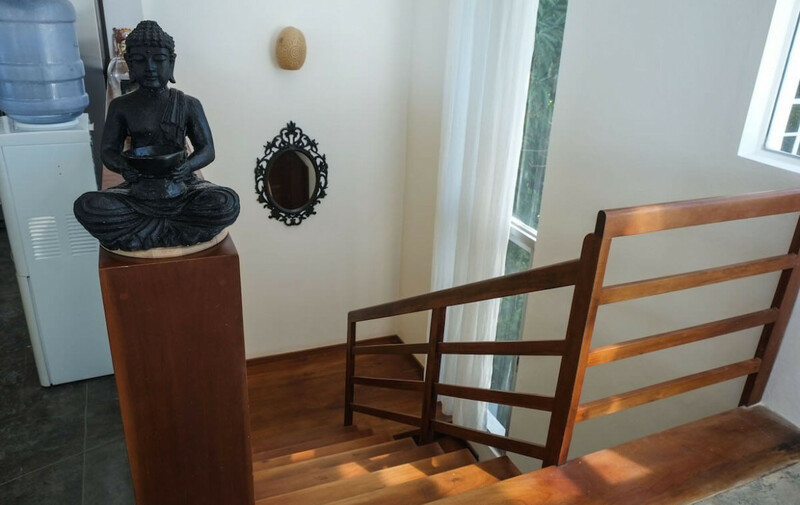 The stairs lead us to the second floor, the heart of the house. 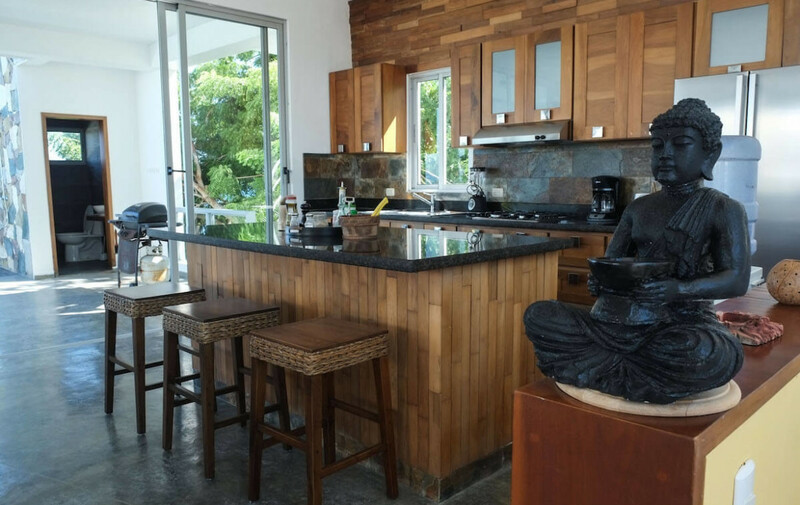 This massive open space, full of luminosity, contains a modern kitchen with an island, dining area and a relaxing living room, all facing the most stunning landscape. 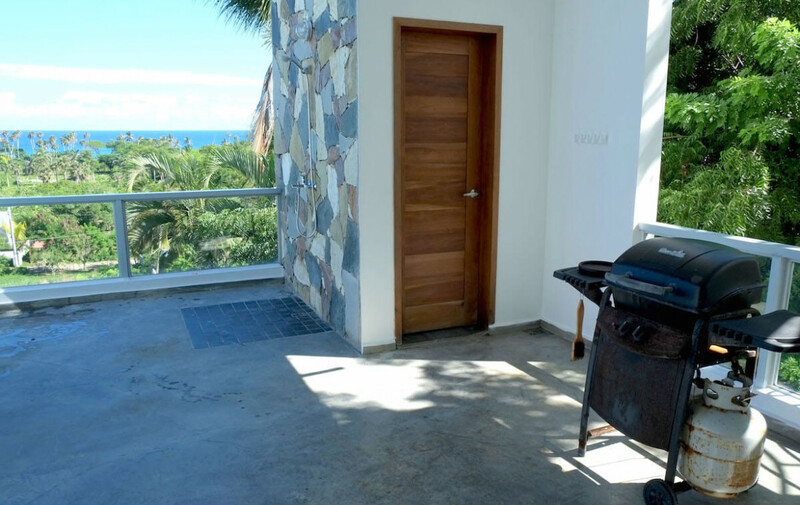 The terrace is the place to be: endless pool, shower, bathroom, barbecue, a surprising spot for having the most delightful dinners and a comfortable couch. 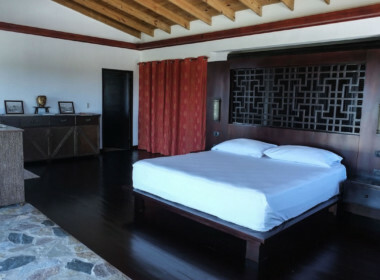 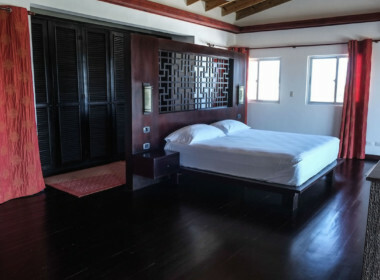 The third floor features a luxury room. 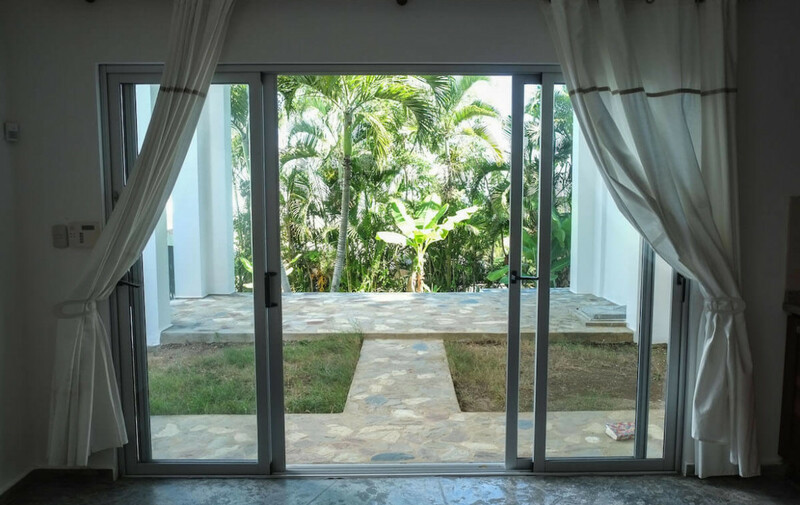 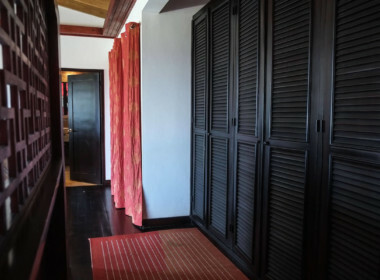 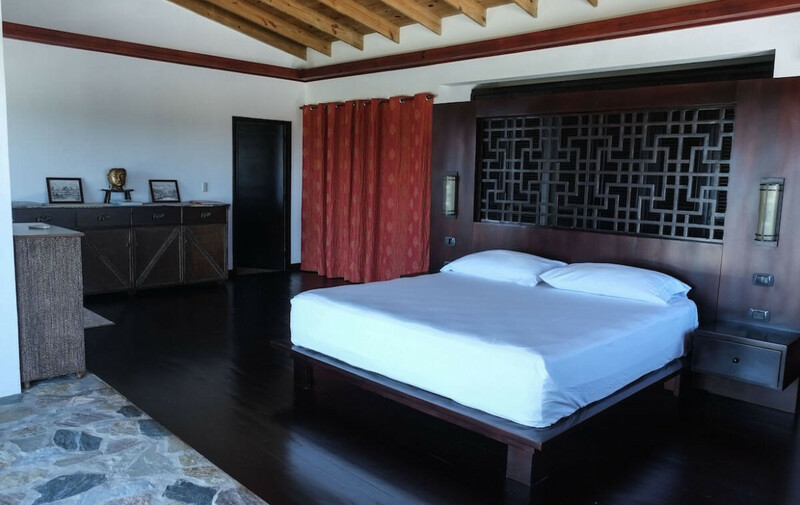 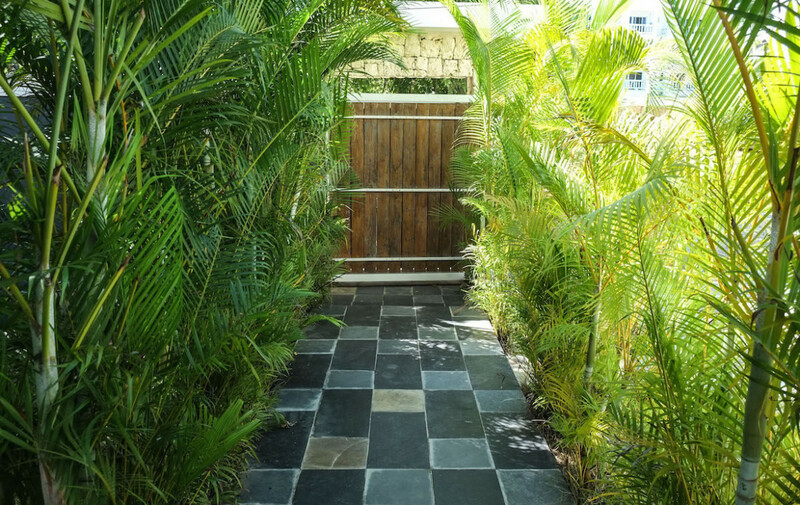 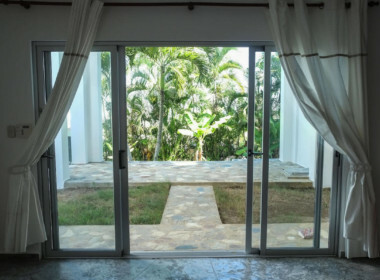 This massive space, with big windows, a private terrace, enormous bathroom, closets, and most of all, an exquisite “Bali style” decoration, is your place to retreat. 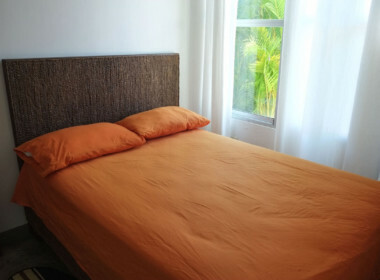 You can feel like a king or a queen, checking the waves without moving from your bed. 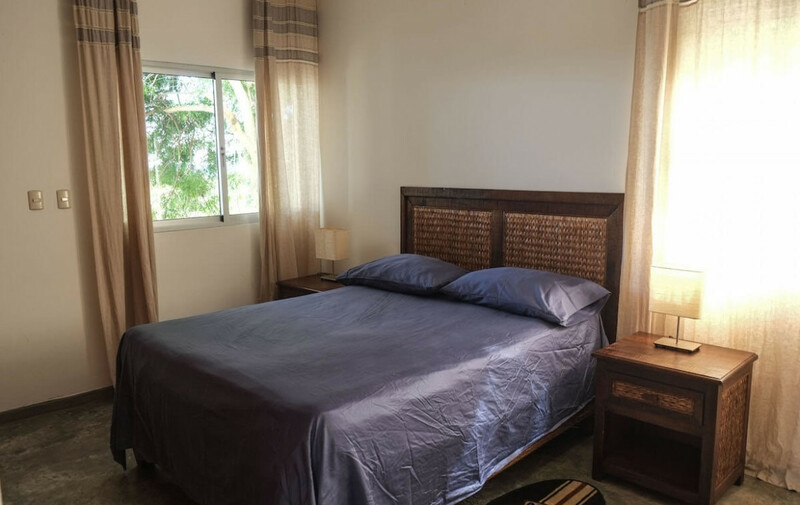 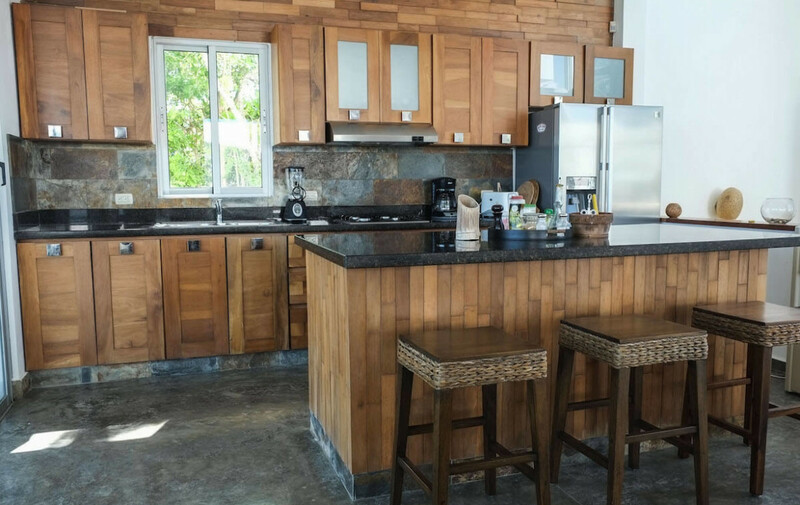 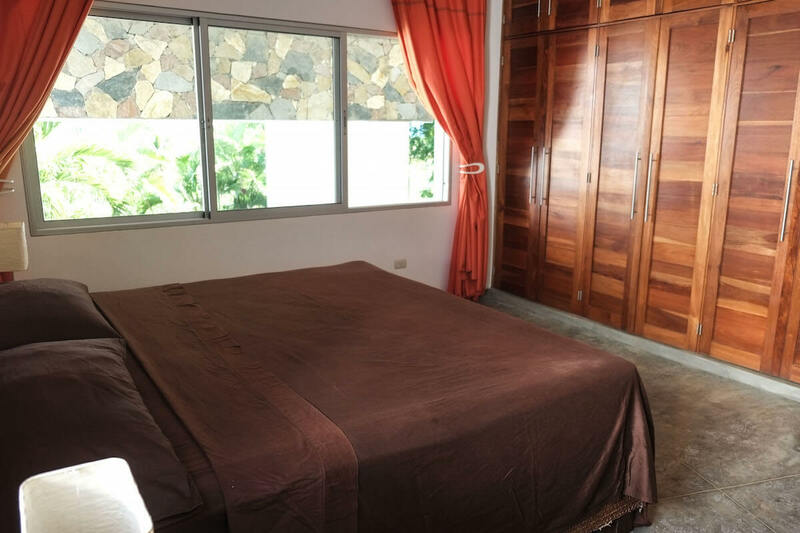 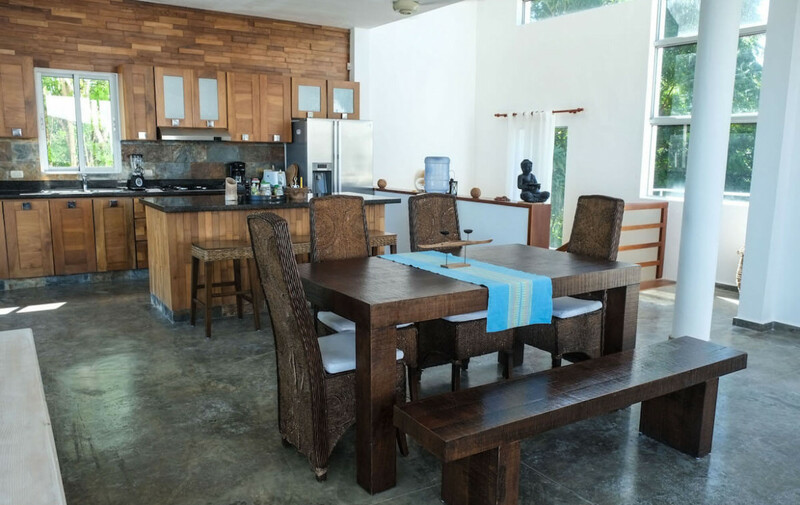 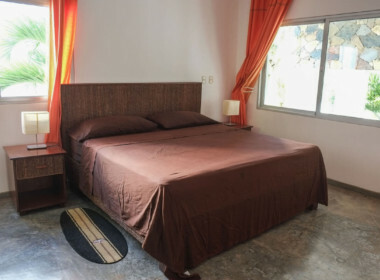 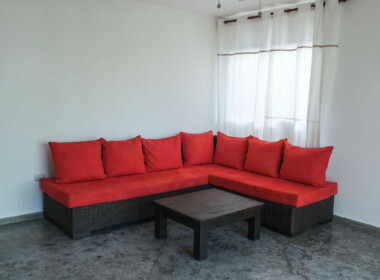 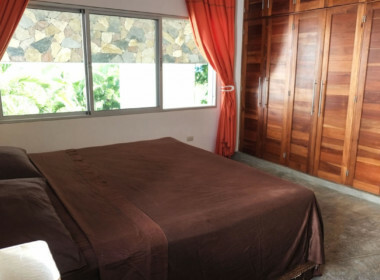 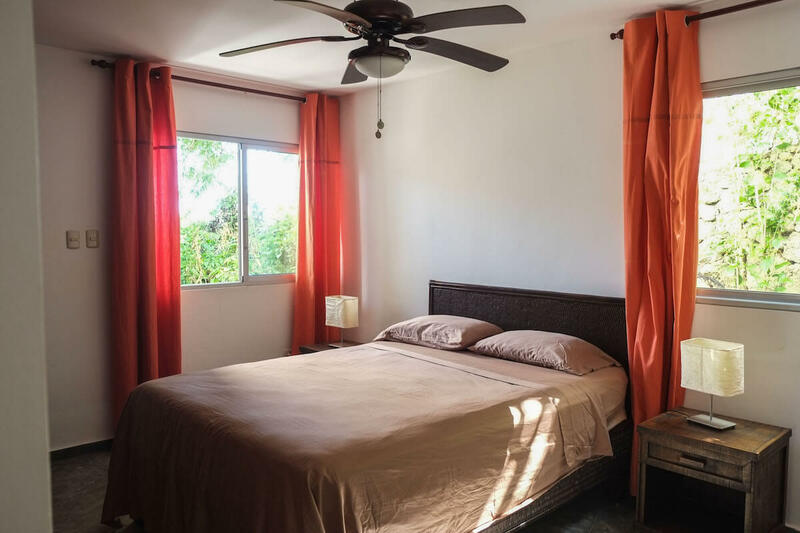 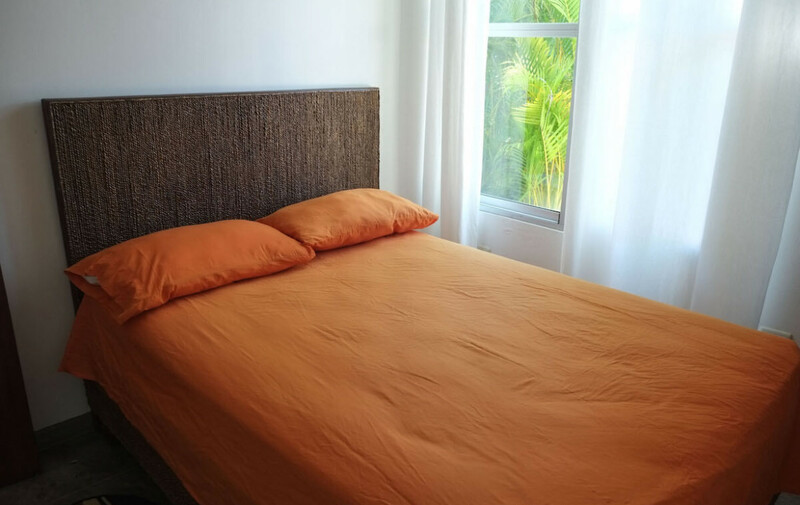 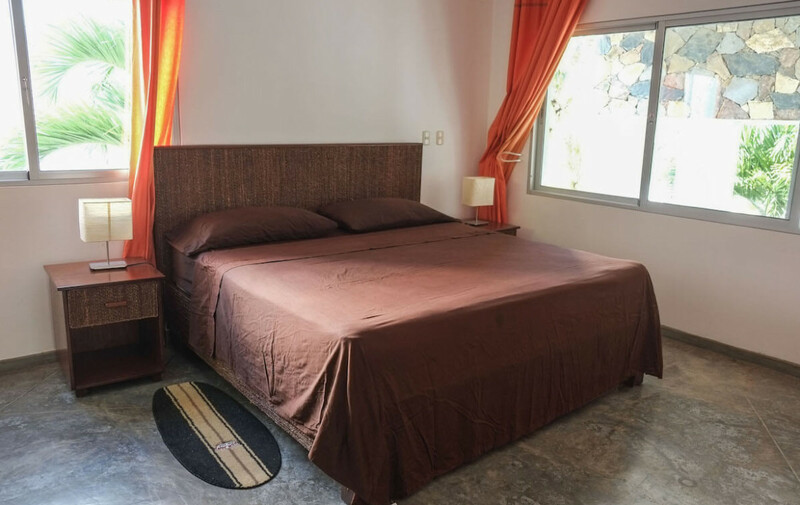 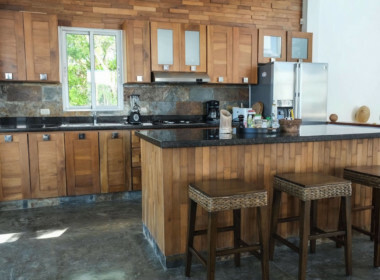 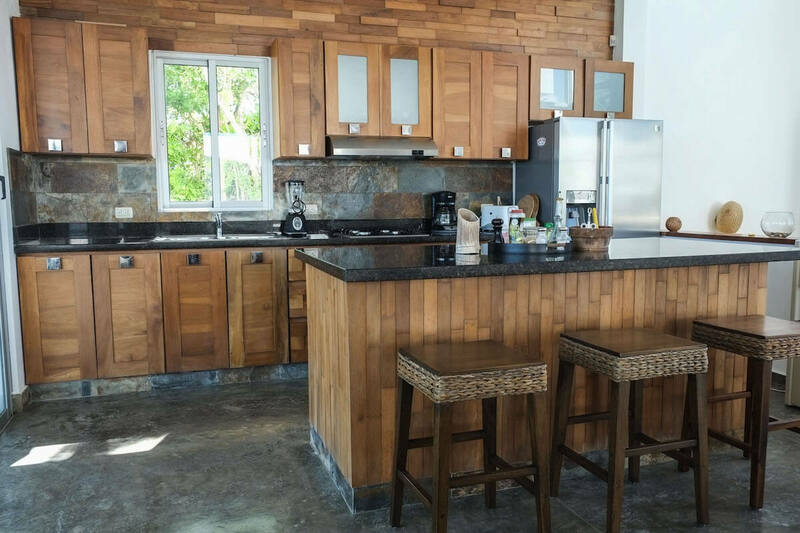 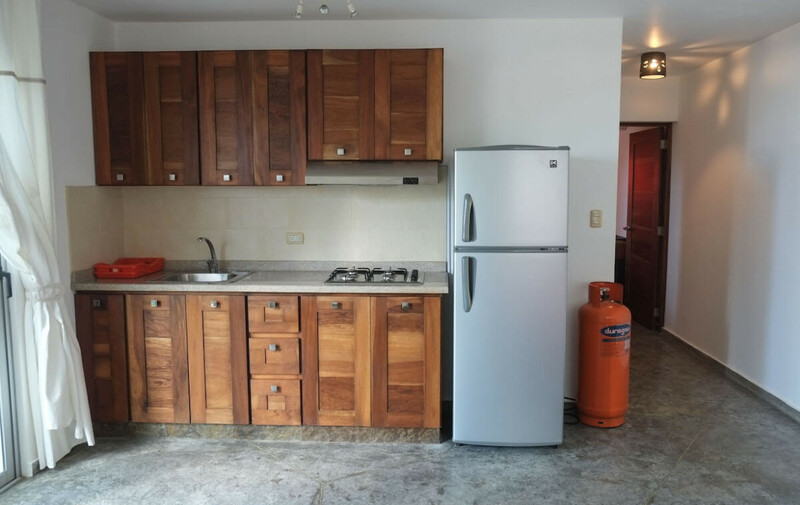 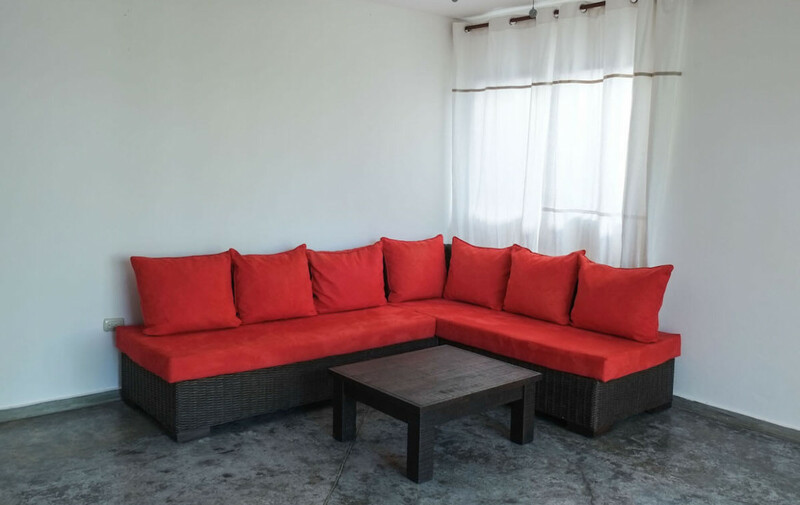 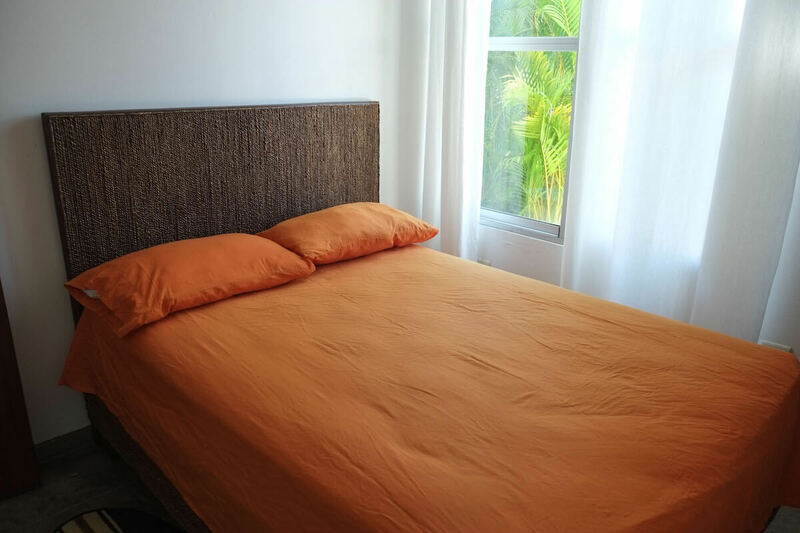 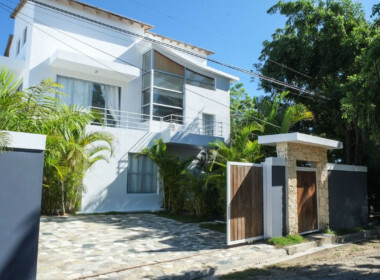 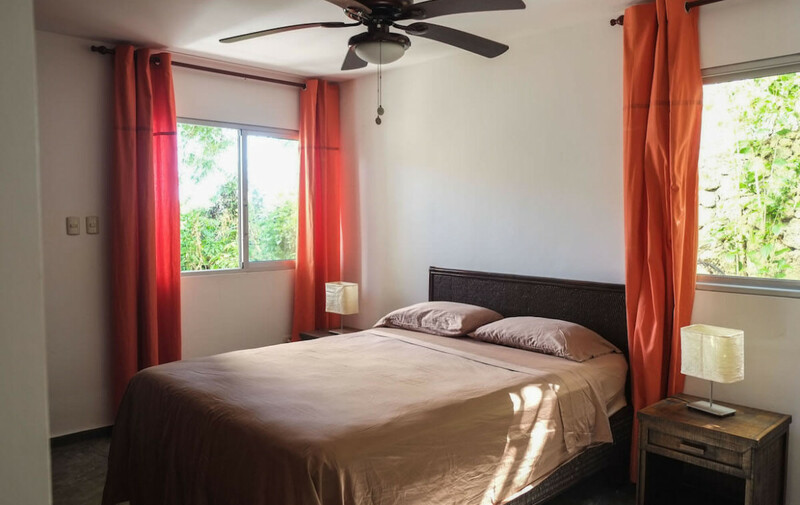 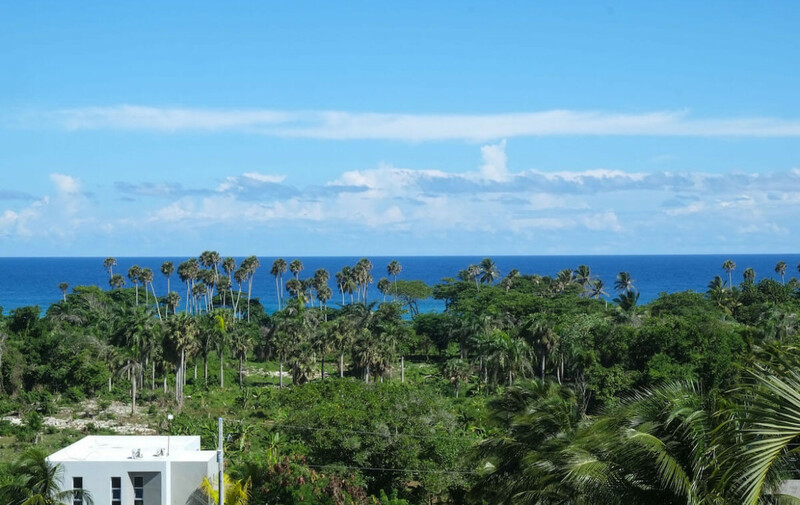 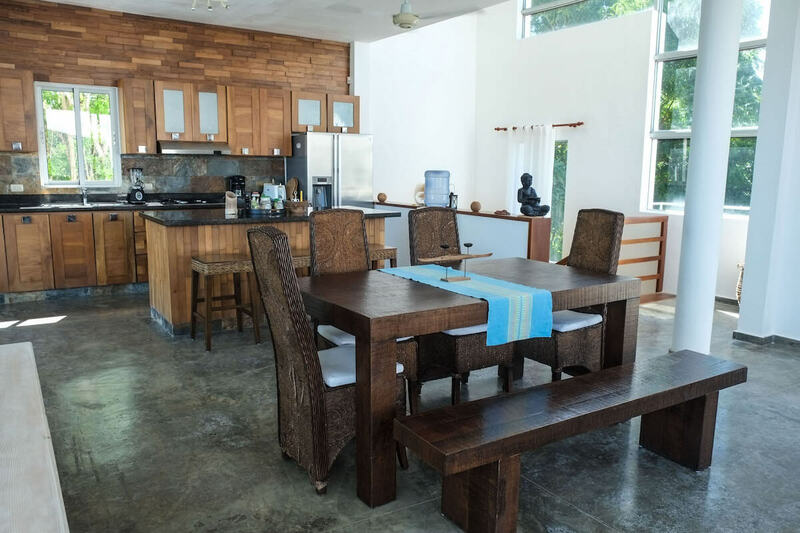 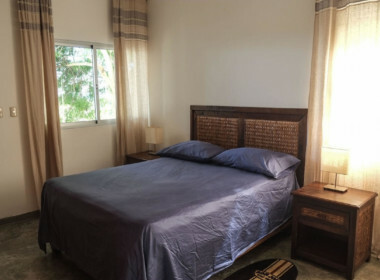 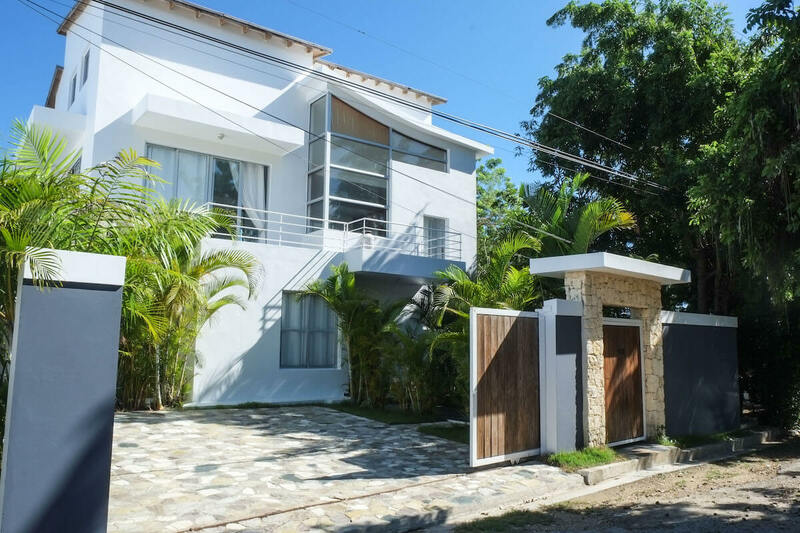 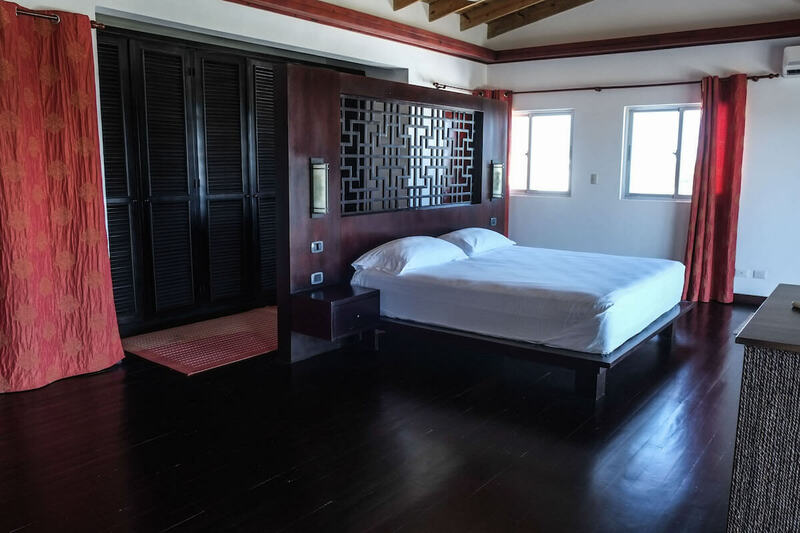 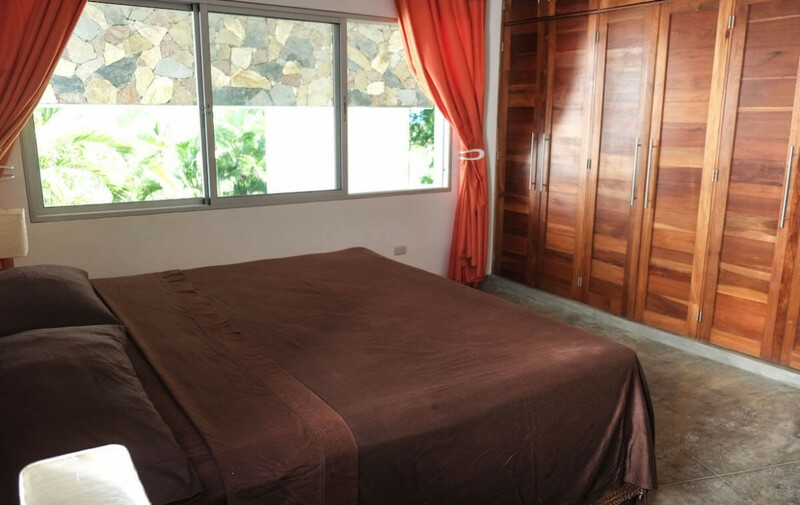 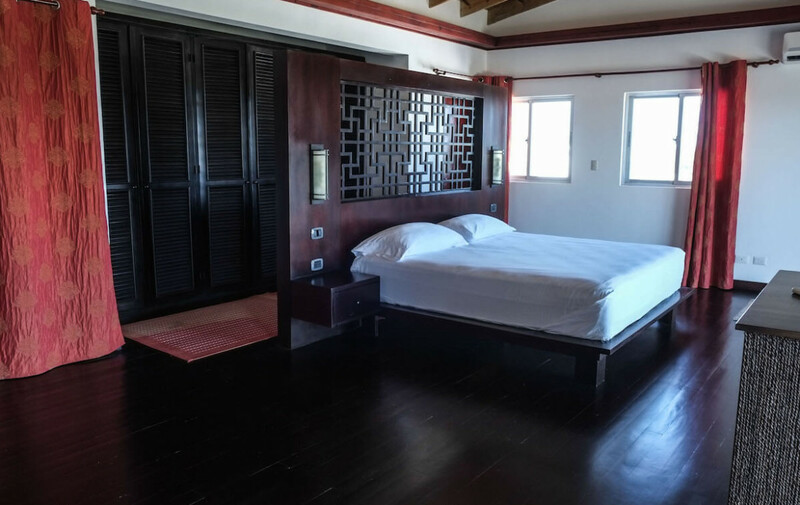 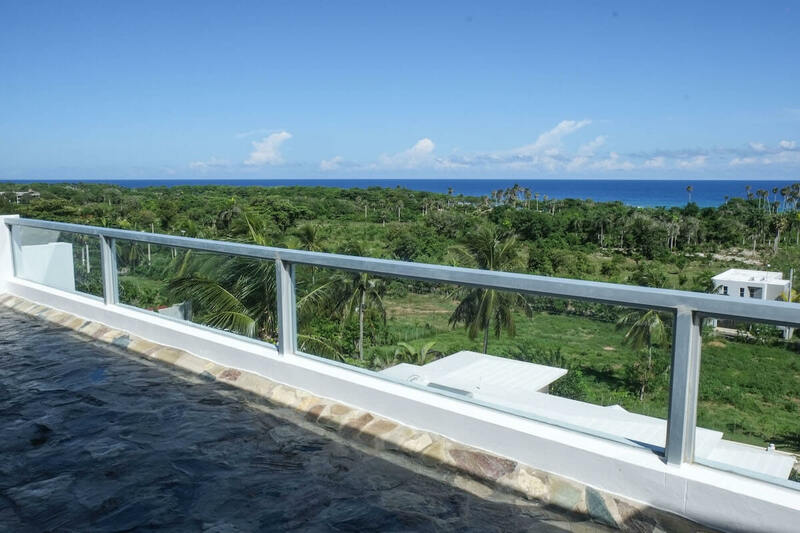 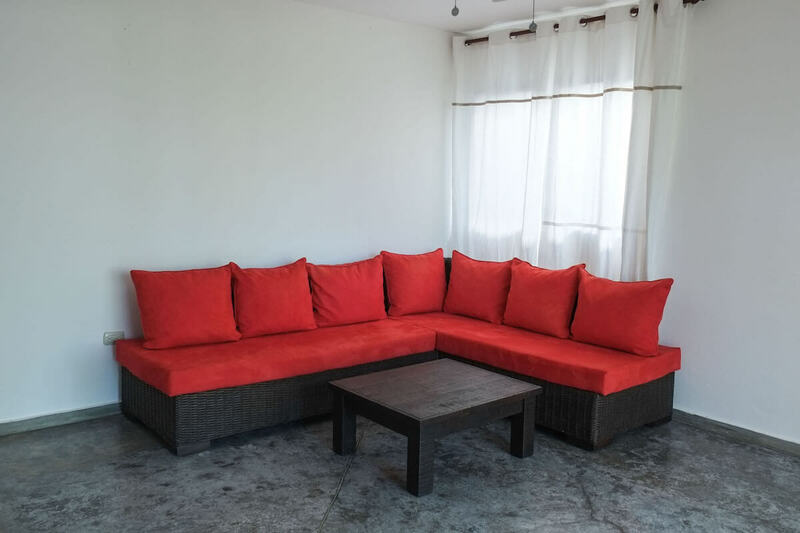 This place is perfect for a large family, a group of friends looking to spend a fabulous vacation in paradise or couples looking for the perfect getaway.